With its slenderness and minimalist design, the Master Ultra Thin collection by Jaeger-LeCoultre is a symbol of understatement and real elegance. This year, Jaeger-LeCoultre introduces three new models to enrich the collection. They are the Master Ultra Thin Tourbillon in white gold, the Master Ultra Thin Moon in steel with black dial and the Master Ultra Thin Date in stainless steel. Previously available only in pink gold, the Master Ultra Thin Tourbillon now shows up also in a white gold case (40 mm wide and 11.3 mm thick) which frames a finely grained white dial and black-nickel plated hands and hour markers. The eye-catching tourbillon, positioned at 6 o'clock, is held by a filigree-worked bridge. The grade 5 titanium cage is exceptionally light with its mere 0.33-gram weight. 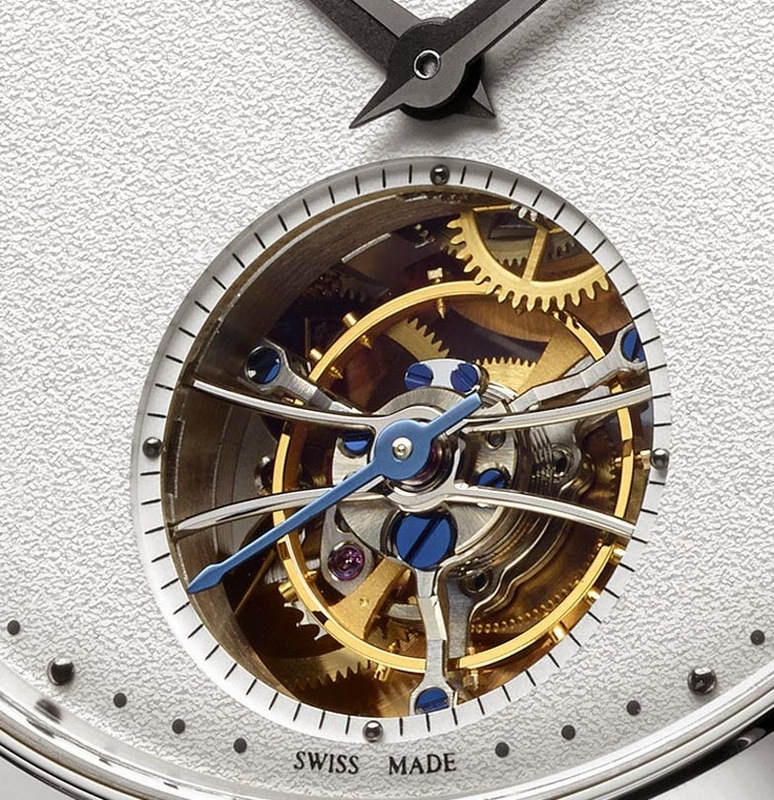 The automatic Calibre 982 movement, visible through the sapphire crystal case back, beats at 28,800 vph and guarantees a power reserve of 45 hours. For its Master Ultra Thin Moon in stainless steel, Jaeger-LeCoultre offers an alternative to the silver dial and presents a sunburst-finished black dial for a bolder style. The golden moon moves across a hard blue disc which creates a contrast with the black of the dial. The legibility of the date is excellent. The 39 mm case has a thickness of 9.9 mm thanks to the ultra thin Calibre 925, a 4Hz (28,800 vph) automatic movement which is just 4.9 mm thick. At 7.5 mm, the thinner of the three new models is the Master Ultra Thin Date whose pink gold version was first introduced in 2014 year at the Salon International de la Haute Horlogerie. The elegant 40 mm round case is now offered also in stainless steel. The minimalist silver dial is completed by the applied hour markers, the classic dauphine hands and, at 6 o'clock, the discreet aperture for the date in balance with the overall aesthetic of the watch. The Master Ultra Thin Date is powered by the automatic Calibre 899 movement (28,800 vph) which comprises 219 parts in a thickness of 3.3 mm. 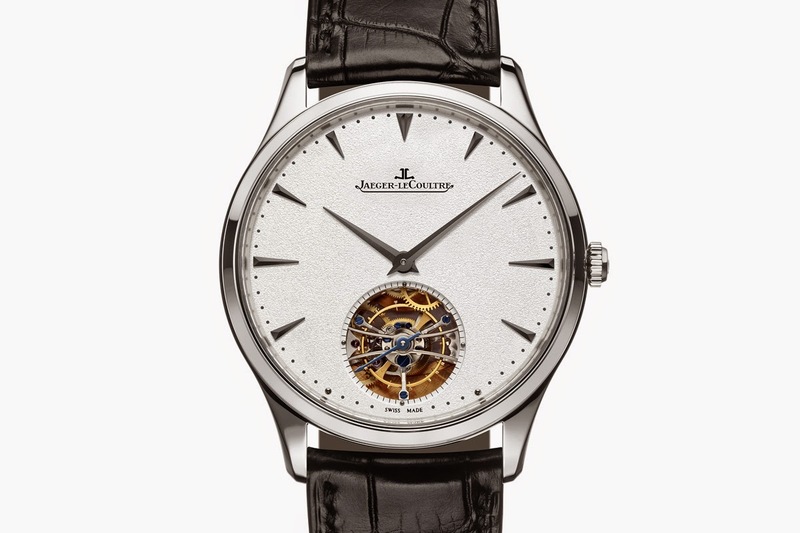 Jaeger-LeCoultre Master Ultra Thin Tourbillon (ref. 1323420) Euro 65,000 / US$ 74,000. Jaeger-LeCoultre Master Ultra Thin Moon (ref. 1368470) Euro 8,500 / US$ 10,100. 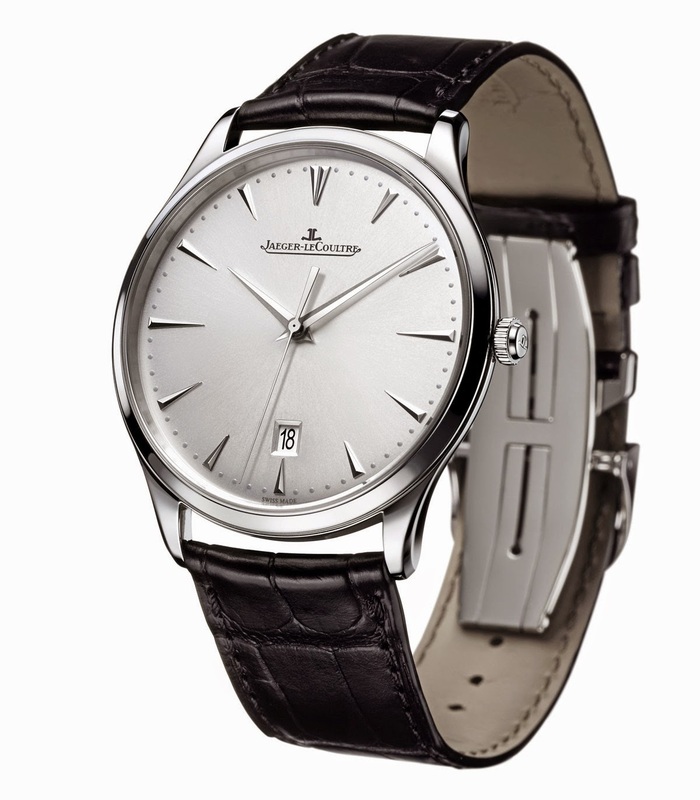 Jaeger-LeCoultre Master Ultra Thin Date (ref. 1288420) Euro 6,800 / US$ 8,100. 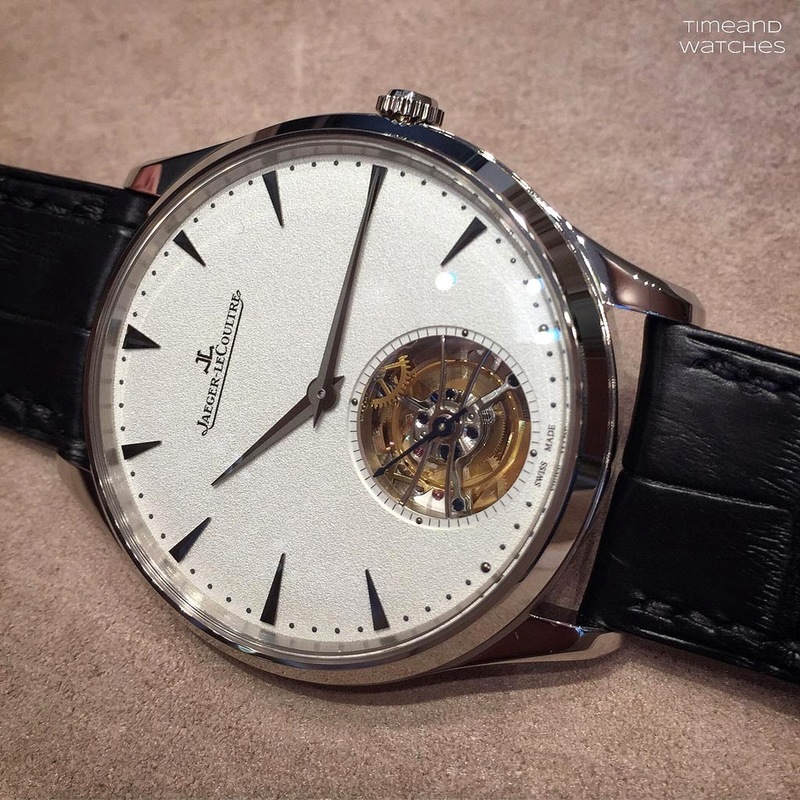 Jaeger-LeCoultre: Master Ultra Thin, new 2015 models. With its slenderness and minimalist design, the Master Ultra Thin collection by Jaeger-LeCoultre is a symbol of understatement and elegance. This year, Jaeger-LeCoultre introduces three new models to enrich the collection. They are the Master Ultra Thin Tourbillon in white gold, the Master Ultra Thin Moon in steel with black dial and the Master Ultra Thin Date in stainless steel. 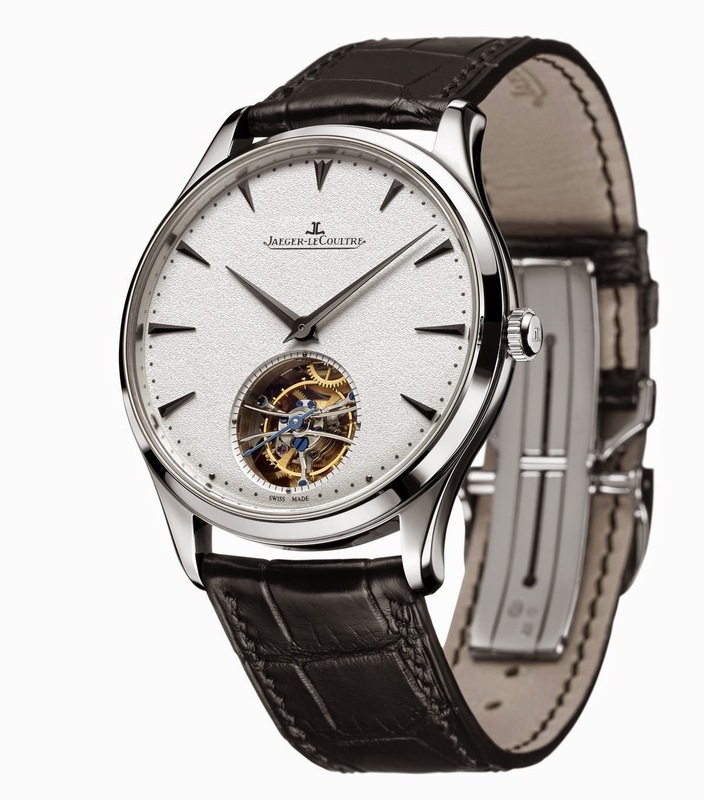 Jaeger-LeCoultre Master Ultra Thin Tourbillon (ref. 1323420) Euro 65,000 / US$ 74,000. 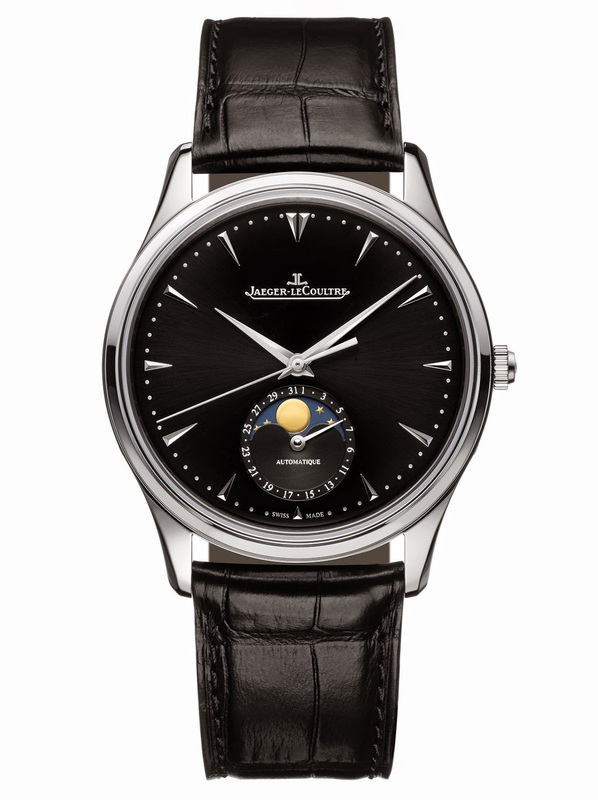 Jaeger-LeCoultre Master Ultra Thin Moon (ref. 1368470) Euro 8,500 / US$ 10,100. Jaeger-LeCoultre Master Ultra Thin Date (ref. 1288420) Euro 6,800 / US$ 8,100.